North Shropshire College is one of UK’s most positive and forward-thinking colleges that prides itself on putting its students and their futures first. Education is something we believe in strongly - our students wouldn’t reach the top if we didn’t. What sets us apart from other Further Education College’s in our field is our absolute dedication to the quality of education being offered. Specialist engineering and motor vehicle resources consist of a range of welding and metal fabrication, motor vehicle and agricultural mechanisation workshops, which are fully-equipped with vehicle ramps, tyre fitting bays, diagnostic and CNC equipment. A new engineering laboratory which opened in September is fully-equipped with diagnostic simulation, CAD, testing and electronic resources. There is also a full range of motor vehicles, a small fleet of tractors, agricultural implements, rough terrain vehicles and various driving areas. Opened in July 2013 by the Rt honourable Owen Patterson MP. 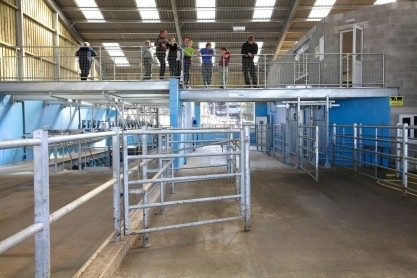 The new dairy unit is built for 300 Holstein/Friesian cows and is targeting to reach a herd average of 9500 litres plus. Currently consisting of 450 breeding ewes of a maternal Lleyn in principal breed with recent purchases including White faced Mules. 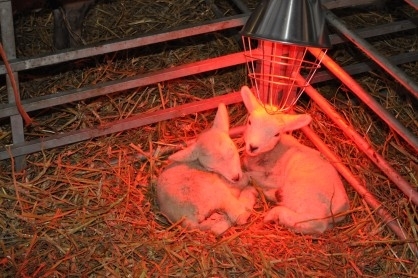 The main aim for the flock is to produce finished lambs for sale at Shrewsbury, Oswestry and other local markets. Equipment recently purchased for the Sheep flock include a Prattley 10ft Super mobile handling system, Pratley Weigh Scales and a full tru-test EID system. Veterinary advice is taken from the team at Shropshire farm vets and nutritional advice from the Wynnstay group. To be selling high grade finished lambs whilst demonstrating best practice in latest husbandry techniques.